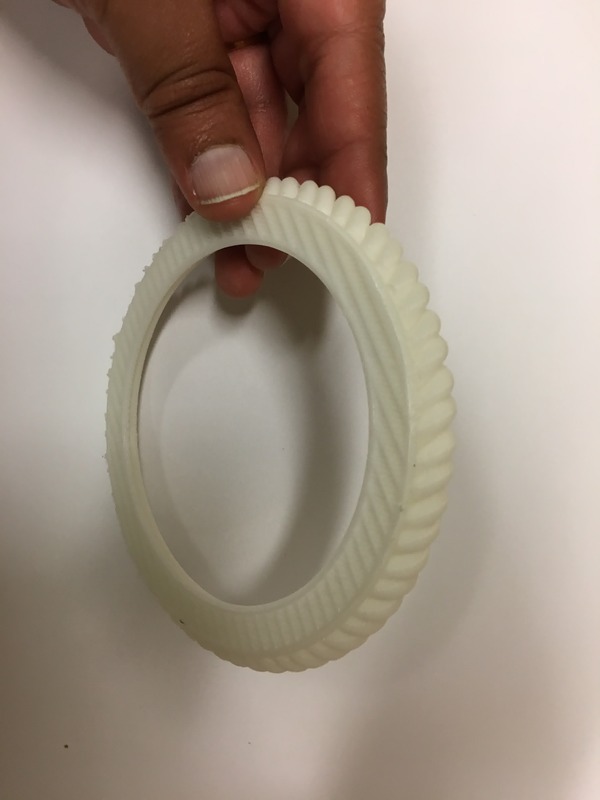 This week's assignment was to learn how to use 3D Scanner and the 3D Sense program to scan an object, and to 3D print an object that cannot be created with a subtractive process using the 3D Wox printer in the arch shop. 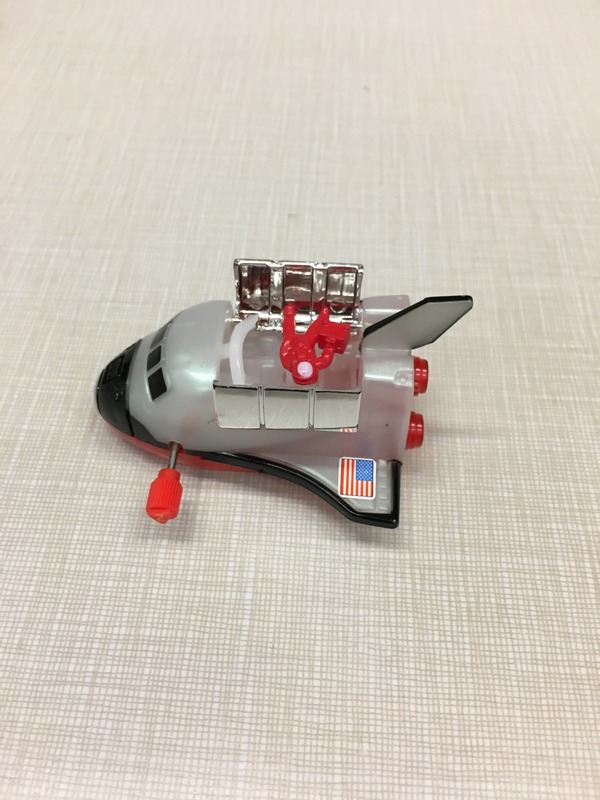 To begin with, I tried scanning a small toy plane, which I had in my office. The object was too small to get any useful results. So, I decided to try a few bigger objects. The scanner in the architecture shop turned out quite hard to get to work with, without "Lost tracking" popping up. The size of the object seemed to matter as well. The smaller the size, harder it was to get a good resolution. Here are some more experiments with the scanner. 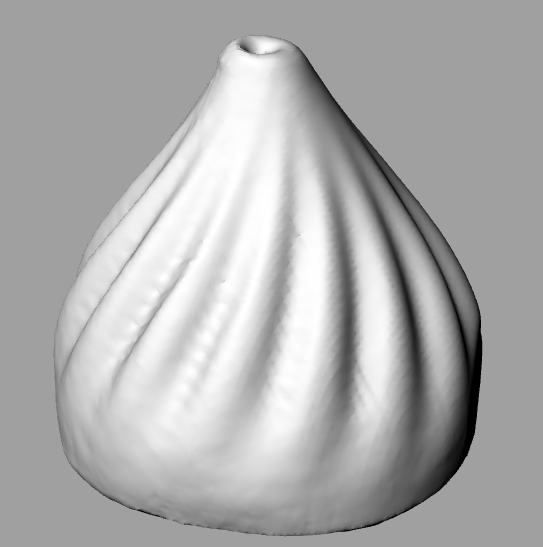 I practiced scanning a much larger object in the shop, which worked pretty well. I then tried scanning my coffee mug. It wasn't perfect, but looked okay. It took several attempts (~7-8) to get a single handle rather than multiple hanging handles. 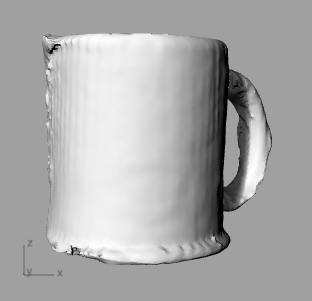 For some reason, the scanner seemed to think that the mug had 3-4 handles rather than just one. 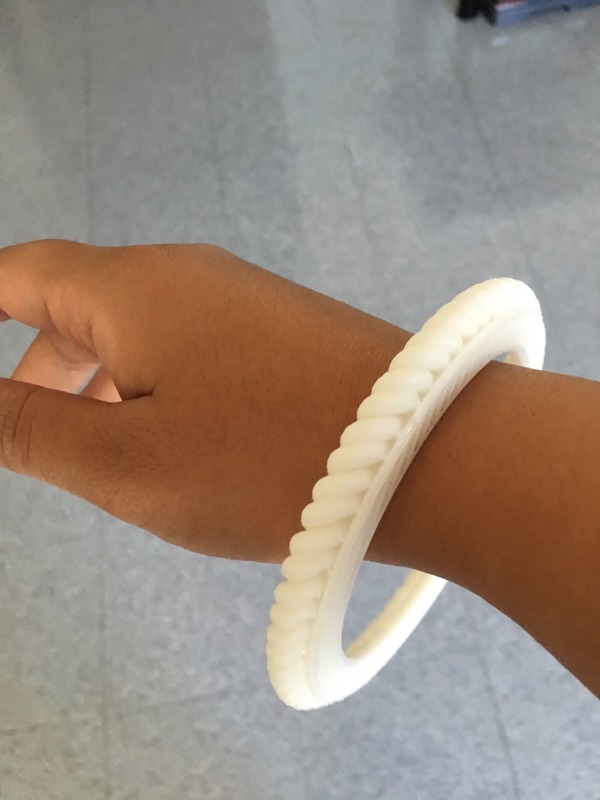 I made a bangle with spiral turns for the 3D printing exercise. 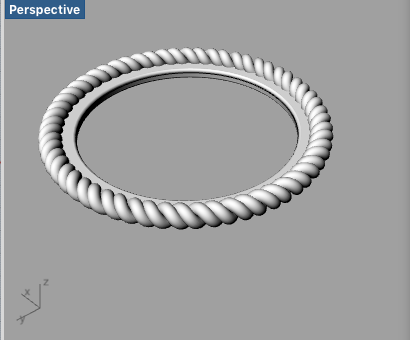 I modeled this piece in a way that it would not be possible to cut the spirals all the way on the bottom of the surface using any of the subtactive processes. 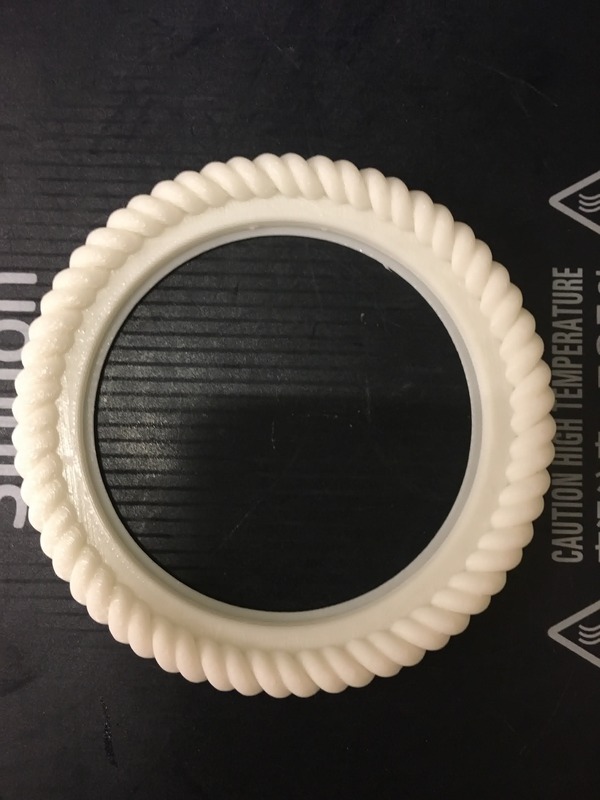 I used Rhino to model the bangle and it took me a while to figure out the sizing for the spirals and to make sure that there were no overhanging parts. 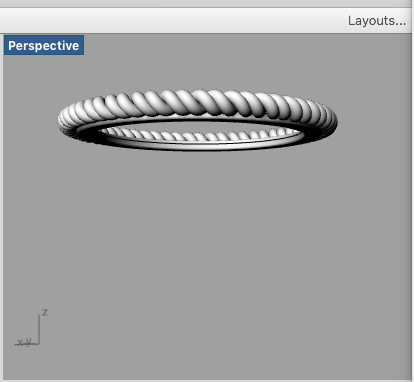 During the first few attempts, I got an overhanging part error. Then I added a tiny piece of material to the bottom to hold the spirals together, and it worked really well! Then I printed the part using the 3DWox in the arch shop. Setting up the file was quite straight forward and mostly just required converting to Gcode, and uploading to the printer. It looked amazing! I love the bangle..and would have liked to make a few more.. But I realized it was a tab bigger than I would have liked it to be. 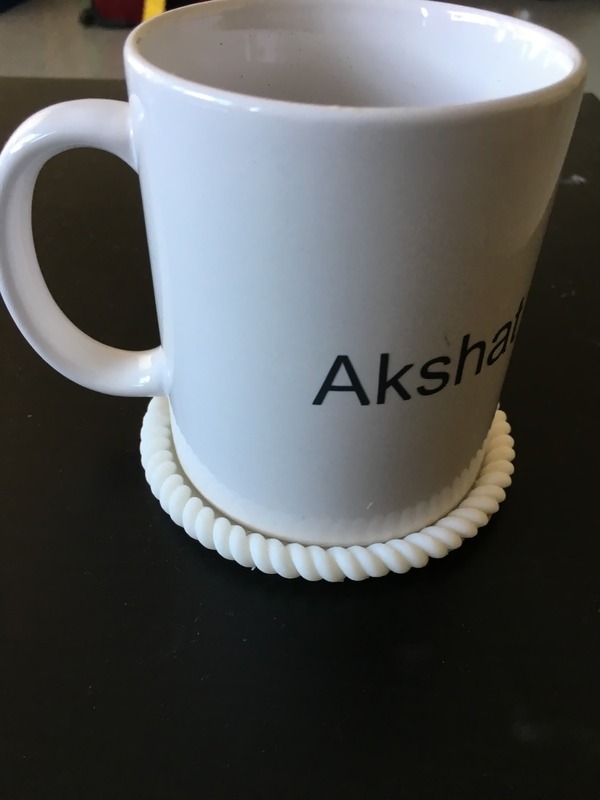 So, now it sits on my desk as the perfect coaster for my coffee mug! 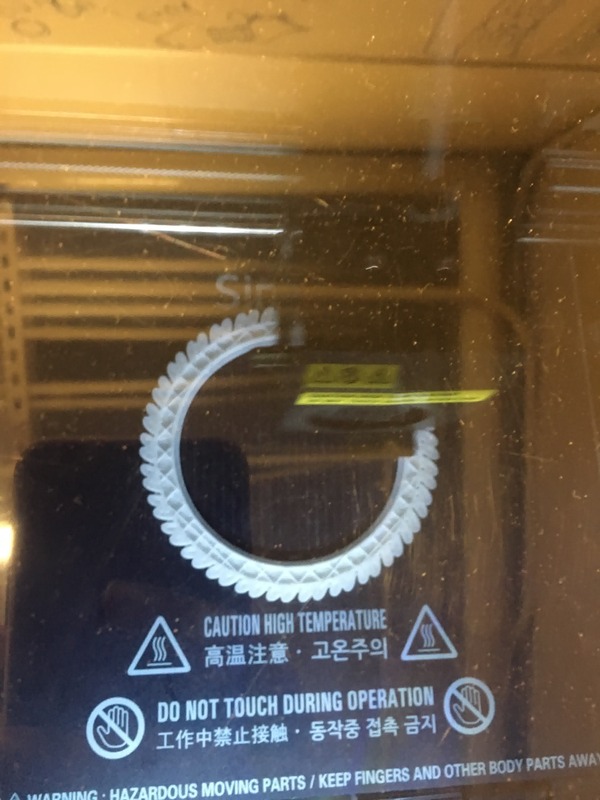 I have used 3D printing to print a button for my final project.. check out my final project here..